We’ll be open this Sunday the 24th from 11am – 3pm. 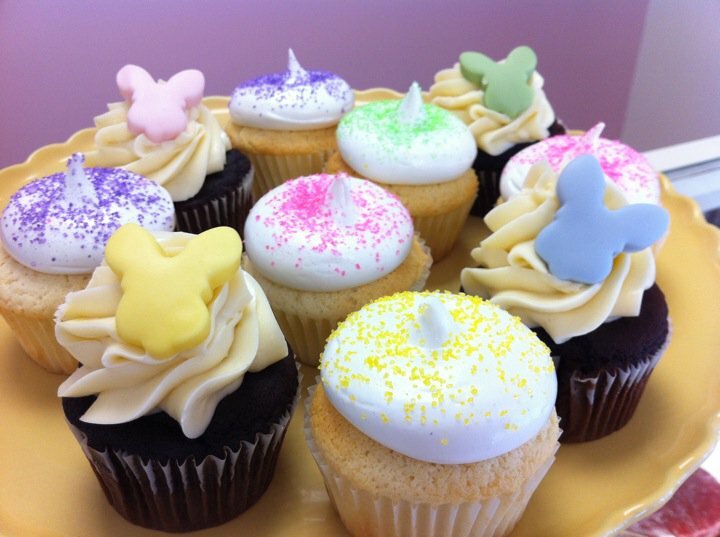 We’ll be open with a display full of cupcakes for your Easter celebrations. Above are our easter bunny cupcakes along with our Peeps inspired cupcakes which have marshmallow meringue frosting covered in colored sugar!